ETHNY is extraordinary recognition by its clientele transversely across the globe for the eminence in its broad designs, fashion and array of collections made it a one stop shop for women�s design wear Ethny which is a entity compromising of manufacturing, whole sale and retail outlet which is exclusive designer wear for women. Now we introduced sandals for women, ladies purse, Anarkalis, sarees of abstract print, contemporary print, traditional print varying from cotton to silk. 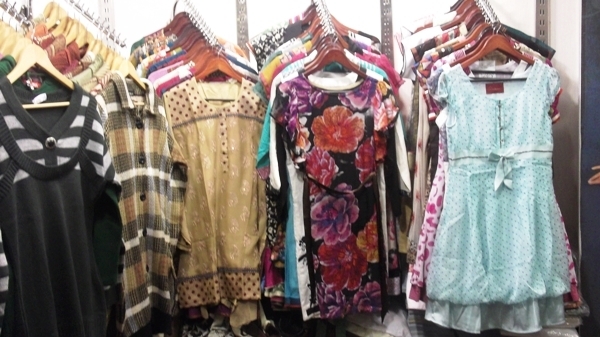 Ethny are also selling fabric suites like dabka, indigo, jacquard, maheswari, kotta, supernet, vegetable prints, rapid, ethnic block prints etc Prints like polka, stripes vertical and horizontal, zigzag, cross lines, and big floral prints Which are the latest trends are obtainable in rekhas fresh filament sale.